Tuesday, 4 December 2018, 7:13a.m. 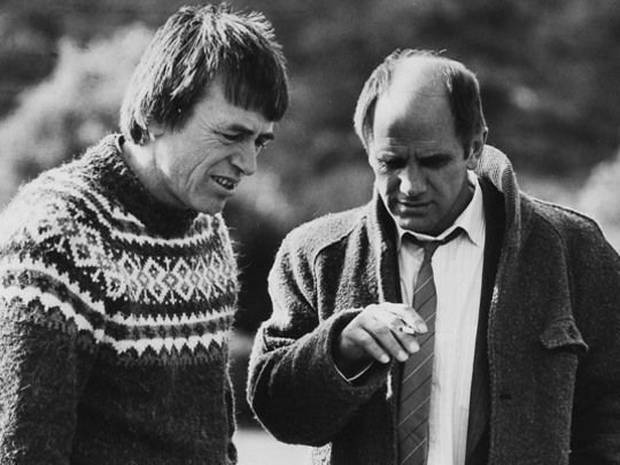 Acclaimed Kiwi film director Geoff Murphy has died. Murphy was a leading figure in the fledgling New Zealand film industry in the 1970s - directing classic films including 1981's Goodbye Pork Pie, Utu and The Quiet Earth. His career later took him to Hollywood, where he directed blockbusters including Young Guns II, the Steven Seagal train thriller Under Siege 2. Murphy also worked as a second unit director on Dante's Peak (directed by fellow Kiwi Roger Donaldson) and for Sir Peter Jackson's Lord of the Rings. The NZ Film Commission said it was "very saddened" to confirm Murphy had died yesterday. In 2014 he was made an Officer of the New Zealand Order of Merit for services to film. Murphy was noted for his skill at action, knockabout comedy, and melding genres. He spent a decade directing in Hollywood before returning home, NZonscreen says in its biography of him. He was married to filmmaker Merata Mita until her death in May 2010. Murphy has also been a scriptwriter, special effects technician, schoolteacher and trumpet player. He was a founding member of the hippy musical and theatrical co-operative Blerta, which toured New Zealand and Australia performing multi-media shows in the early 1970s. Several Blerta members followed Murphy into film work - including the band's drummer Bruno Lawrence, who starred in Utu and The Quiet Earth.